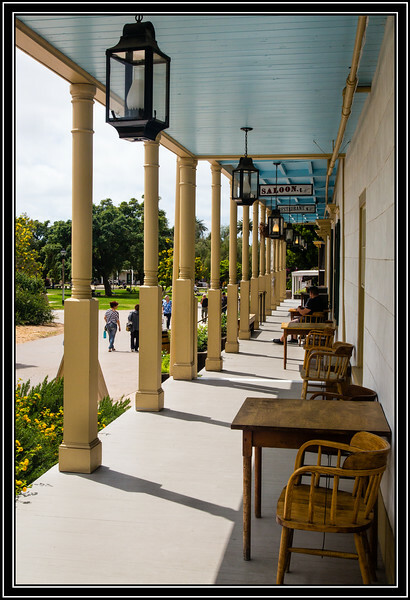 San Diego, CA - Old Town San Diego State Historic Park Link to Photo Without Frame Thank You for Making this Daily Photo Tied for the # 1 Pick on 02-25-2018. Beautiful perspective in this shot. Tough high contrast situation, nonetheless still fine detail in the shadows !! That looks like a nice place to sit and relax for awhile. Great use of repetition...I really like the shadows, too! Nice POV on this lovely long porch where you can sit in the shade and enjoy the park!